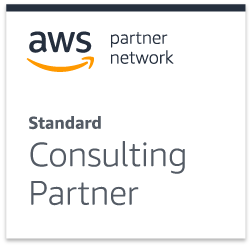 Symbiotics had a great start to 2016 by becoming an official AWS Consulting Partner and Reseller – one of the first African companies to do so. We thought we would share our AWS journey with this short blog post. Our web applications have been hosted in the cloud for a few years, but we were looking for a cloud solution that better suited our business needs and, therefore, started looking into AWS. Our investigations revealed clear benefits – that the global presence of AWS and their suite of products such as Elastic Load Balancing and Auto Scaling would assist us in creating highly scalable, available and durable solutions. In early 2015 we established our own custom virtual network with Amazon VPC and migrated all of the existing Symbiotics infrastructure and applications to the AWS cloud. 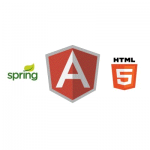 This included the tools necessary for day-to-day development and operations, multiple development environments and production servers for the deployment of our web applications. Our clients’ applications were also successfully migrated to AWS (check out www.eezifone.com and www.247displays.com). Simultaneously there has also been a major AWS upskilling drive at Symbiotics. Several Symbiotics employees have AWS Business/Technical Professional Accreditations and some attended an Architecting on AWS training course. They subsequently became AWS Certified Solutions Architects (and became even more awesome), which proves their expert-level knowledge and skill designing distributed applications and systems on the AWS platform. If you are interested in improving your business operations by transitioning to the AWS cloud then watch this space for our next blog post on the topic. Contact us today to speak to our qualified AWS Solution Architects and discover the benefits of the AWS cloud. 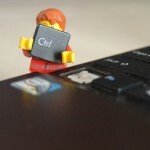 You may also be interested in my next blog: Thinking of Moving your Business to the AWS Cloud? Read more about our Hosting and Cloud Enablement services. Can’t wait for the follow up blog. Particularly interested in why, as a business exec, i would want to do it. I’m glad you’re looking forward to the next blog post, it will be published later this month.